A deeply experienced attorney for the U.S. Department of Defense and an expert in public policy were the recipients of SPEA IUB’s 2017 Distinguished Alumni Awards. 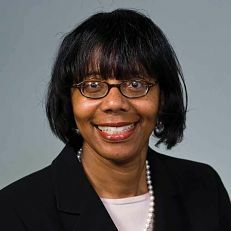 Vicki Allums (MPA’86) is associate general counsel of intellectual property in the U.S. Department of Defense. She has more than 15 years of legal and policy experience as a government and corporate attorney in domestic and international intellectual property matters, e-commerce, cyber law, international trade, and information assurance. Allums previously served as a senior attorney in the U.S. Patent and Trademark Office and as a senior attorney in the intellectual property branch of U.S. Customs. 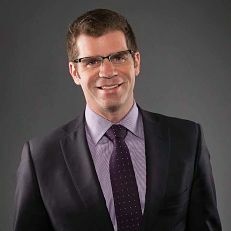 Matt Gentile (BSPA’95) is a principal at Deloitte Financial Advisory Services in Washington, D.C., where he leads Deloitte’s federal analytics practice. In 2013, he was appointed by the U.S. Secretary of the Interior to serve as a member of the National Geospatial Advisory Committee. Gentile began his career as a White House staffer supporting environmental science and policy development, a position that grew out of his participation in SPEA’s Washington Leadership Program. To allow IU students with financial need to benefit from the opportunities he experienced, Gentile recently endowed the Gentile Family Washington Leadership Program Scholarship.